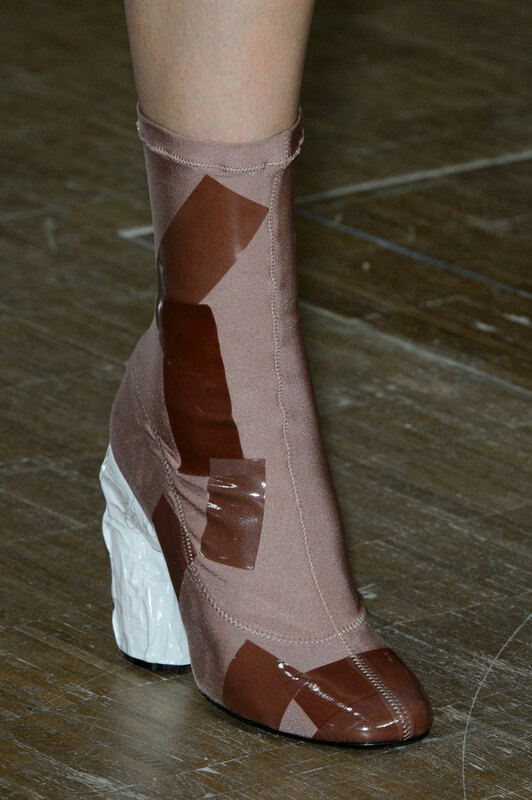 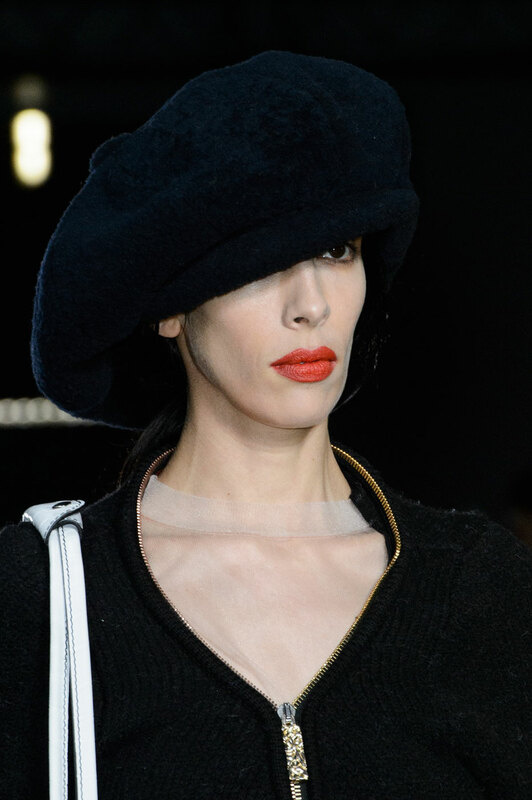 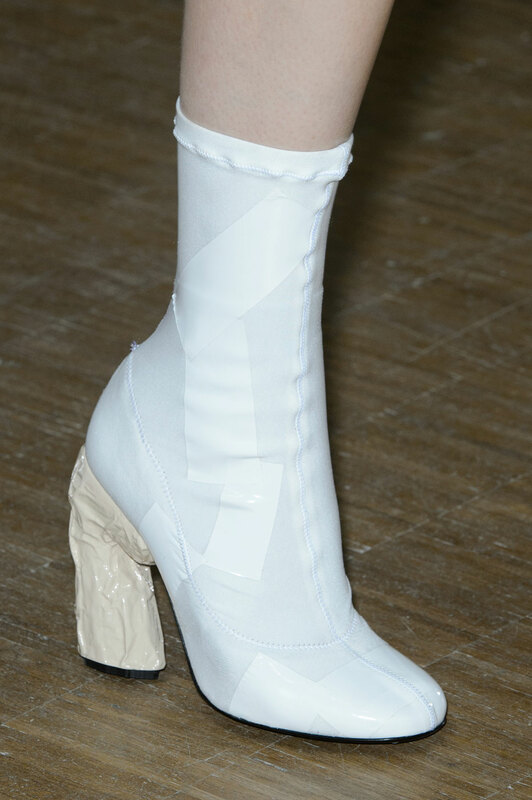 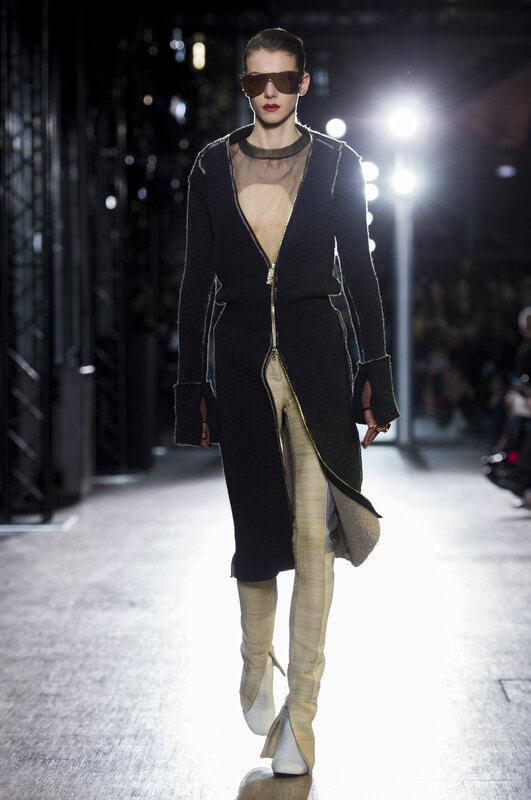 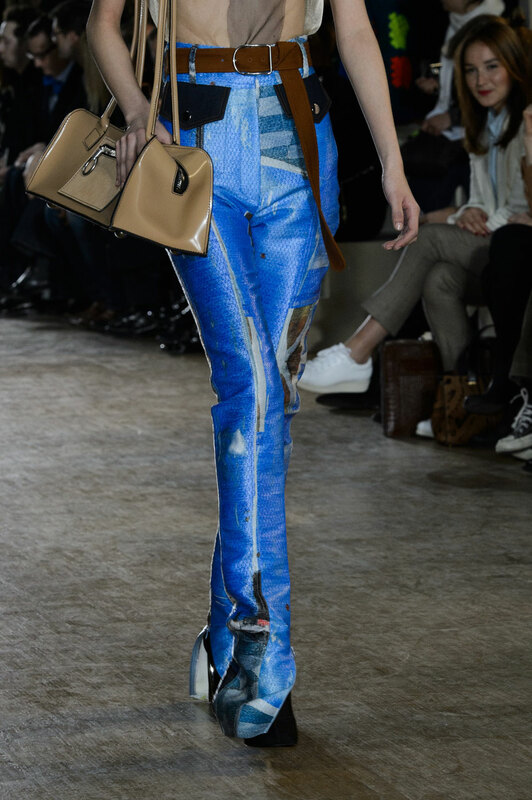 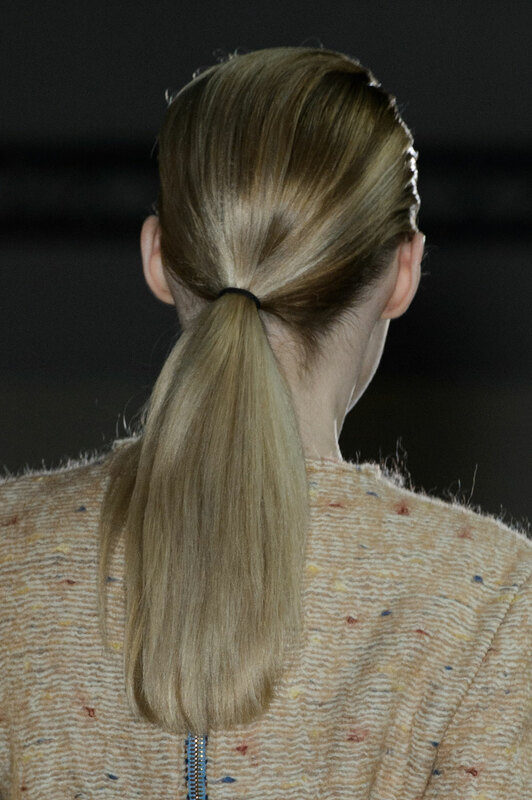 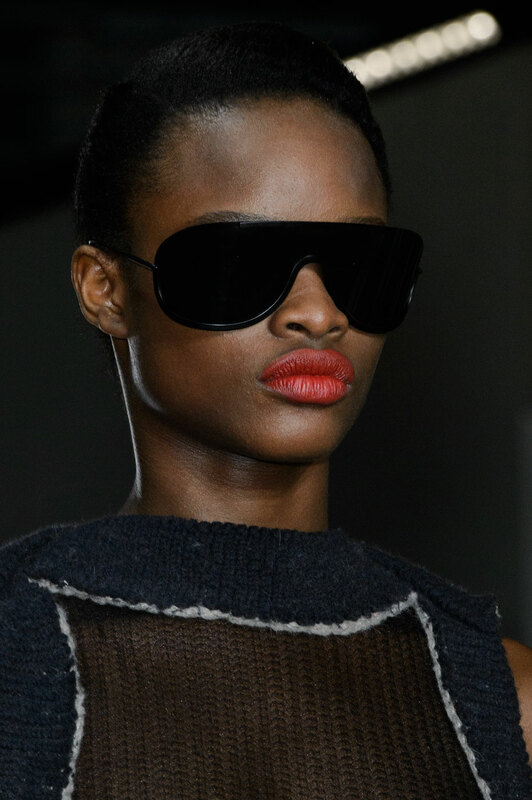 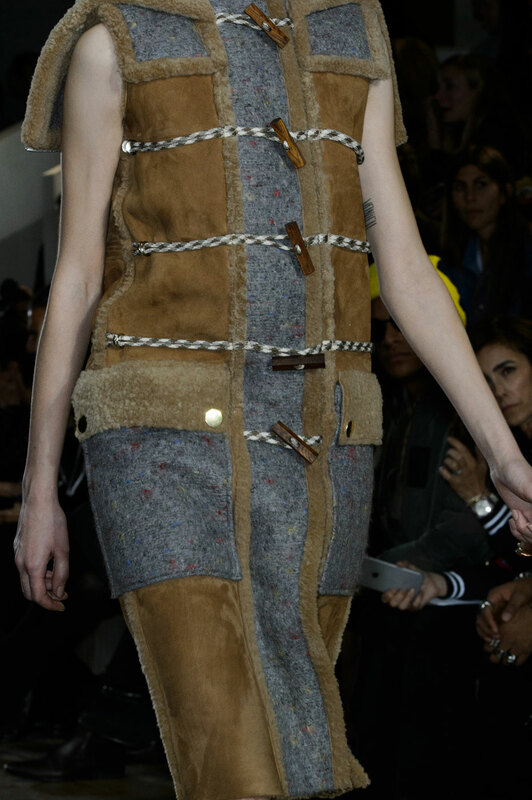 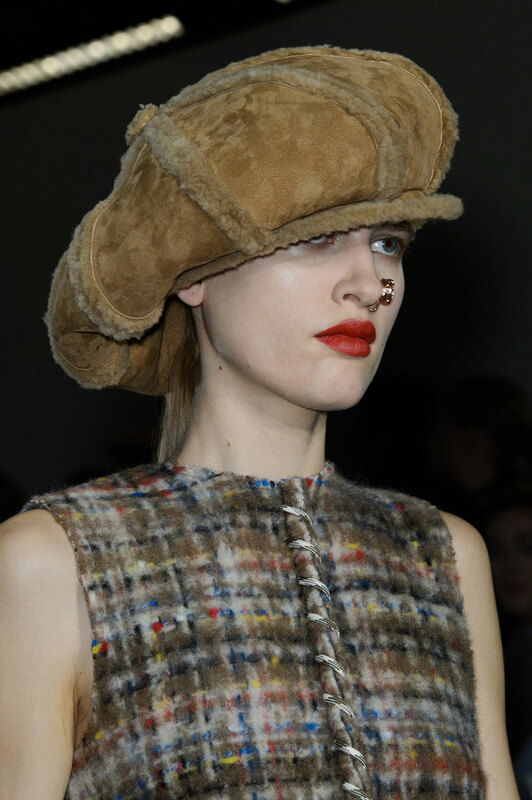 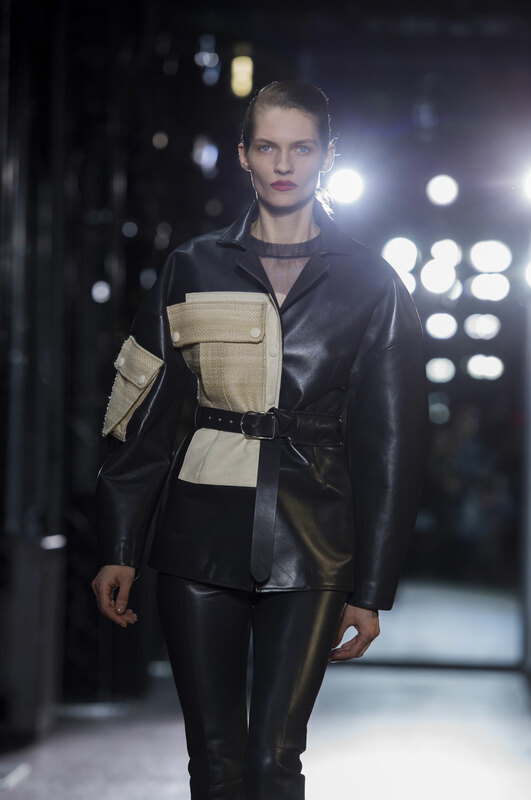 Acne Studio Women Autumn-Winter 2015 – Jonny Johansson for Acne Studios brought to us a lesson in bringing extreme volumes under control at the Centre Pompidou, whilst crowds of young people pressed against the glass in hope of getting a glimpse of the show. 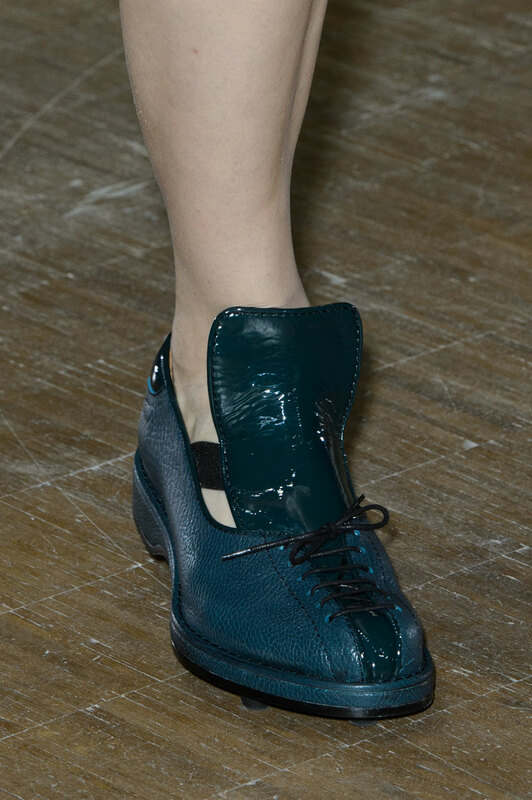 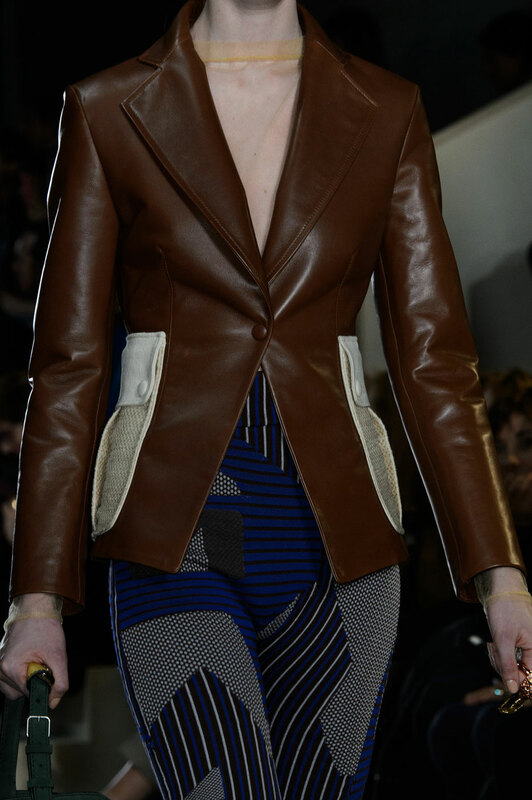 Johansson put a twist on his usually well-constructed season-less classic pieces with an elegant/feminine remix. 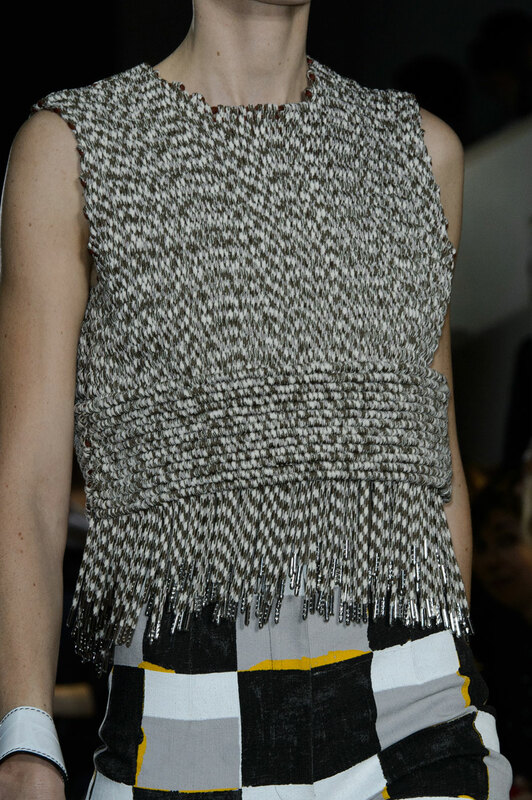 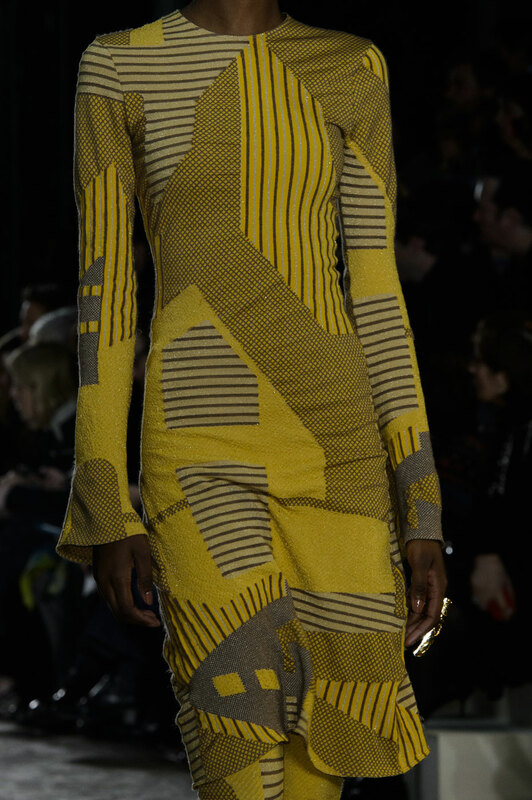 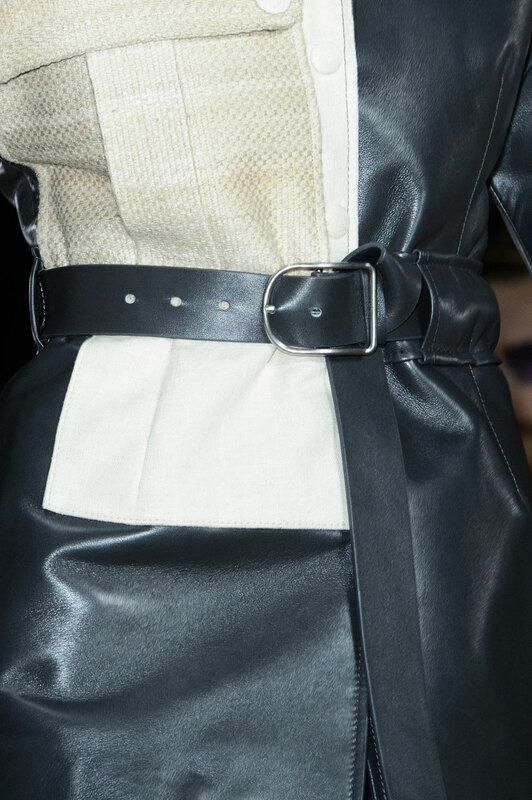 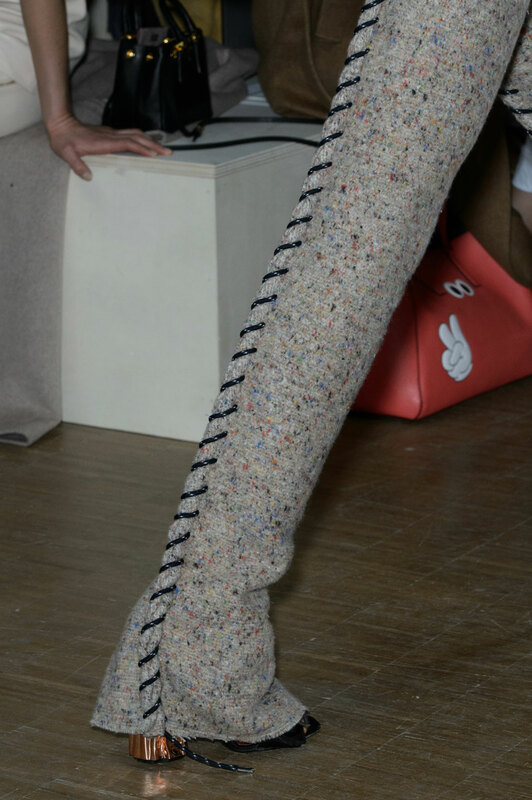 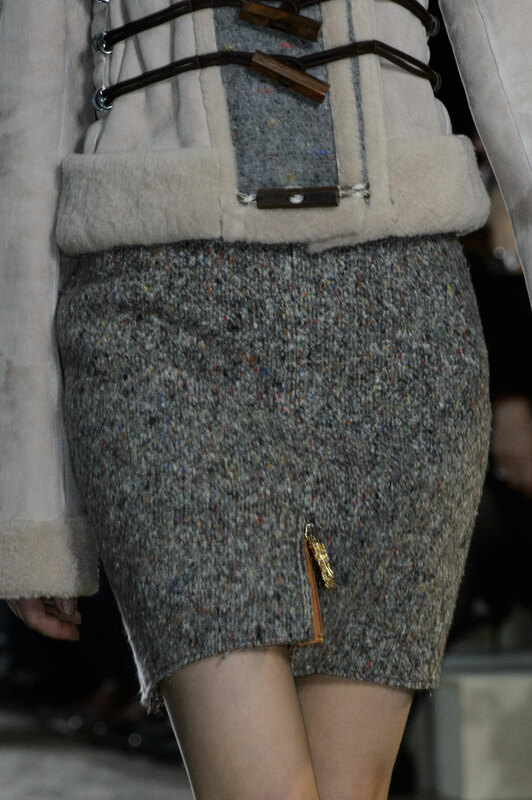 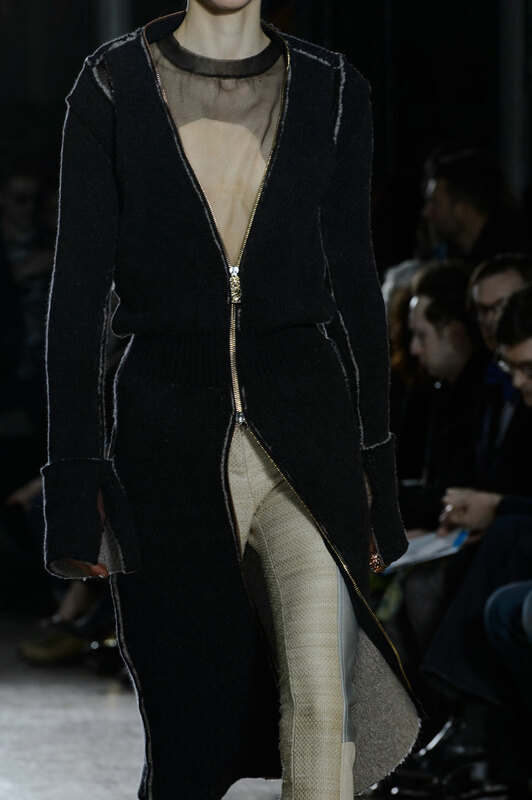 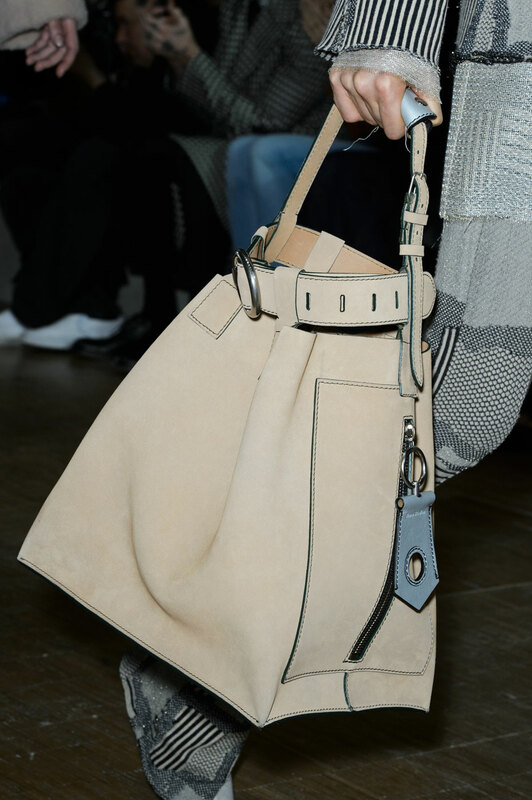 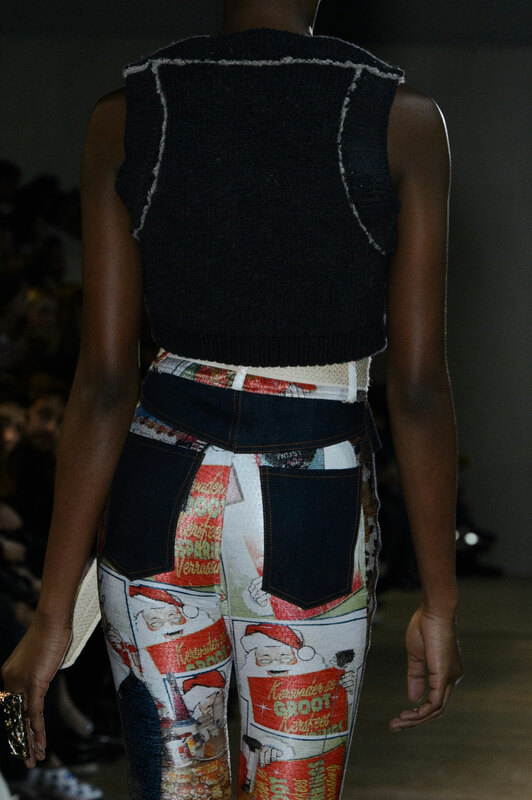 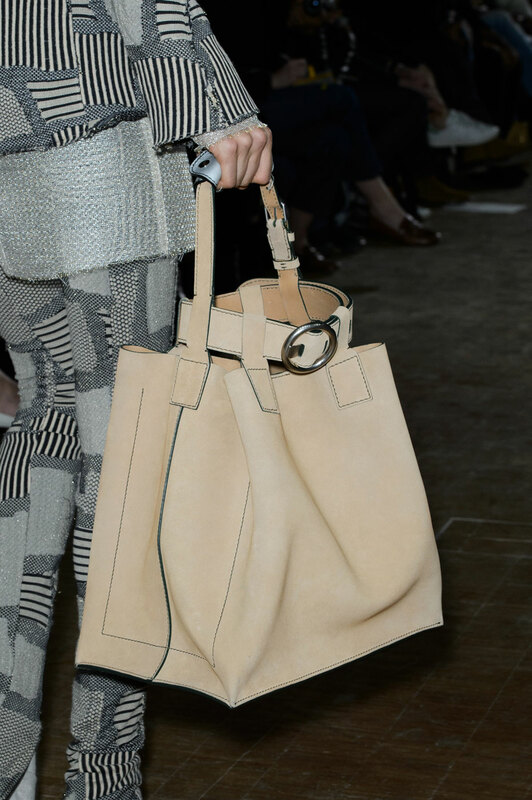 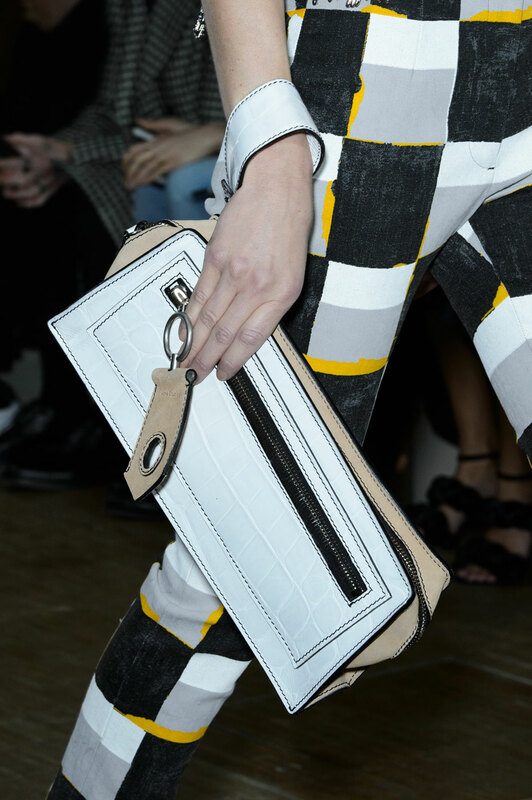 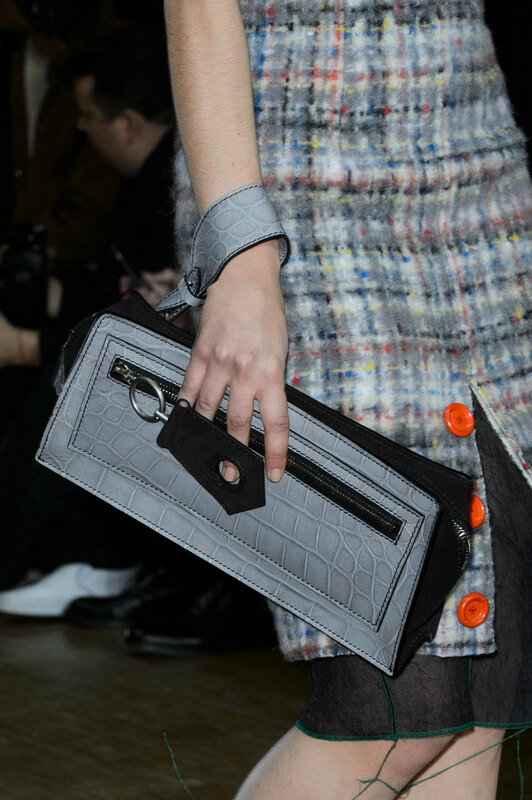 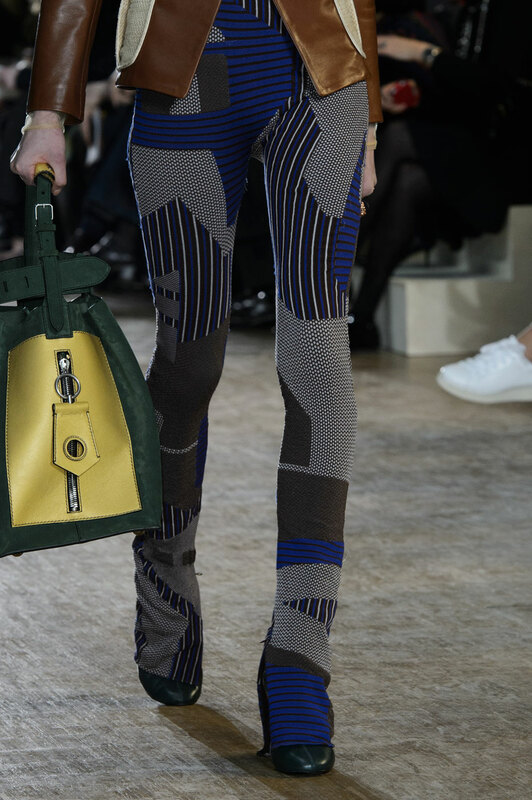 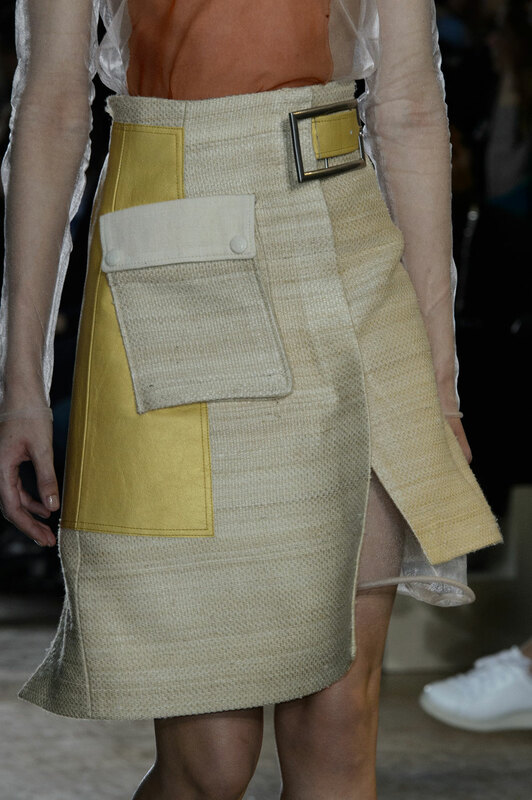 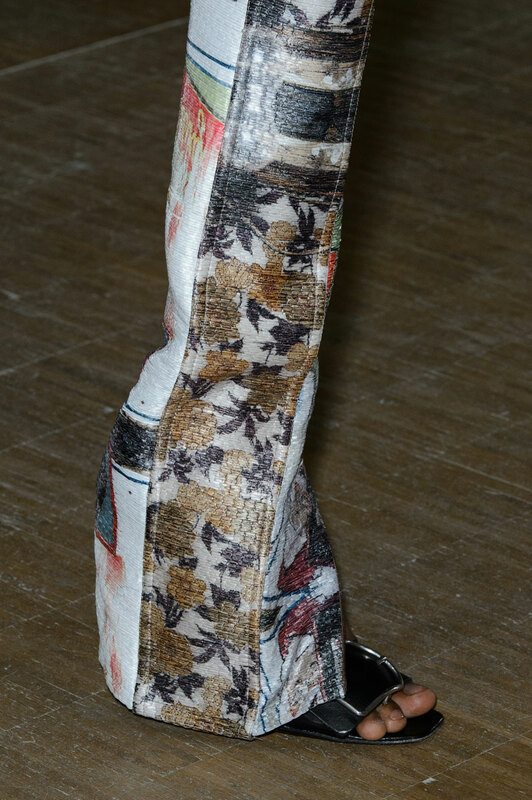 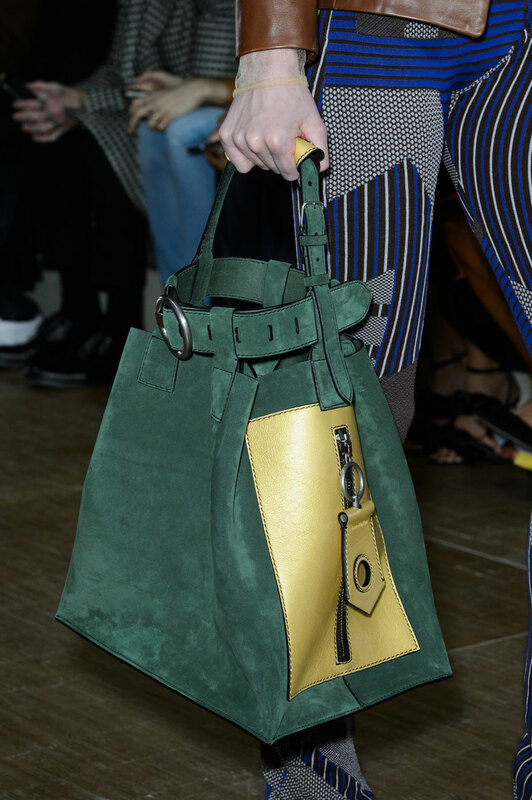 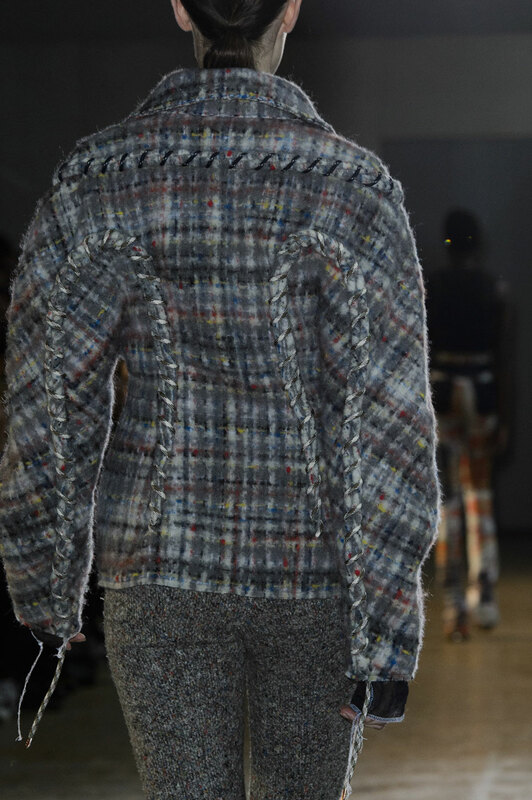 The AW15 was all about proportion and texture. 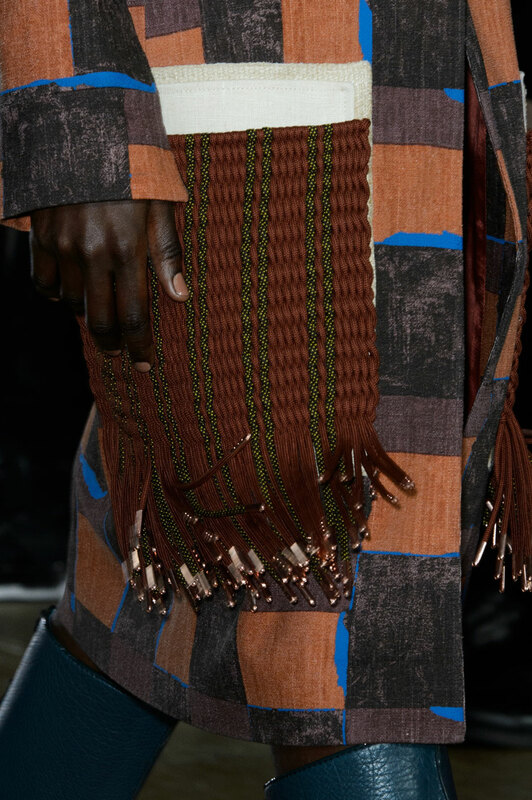 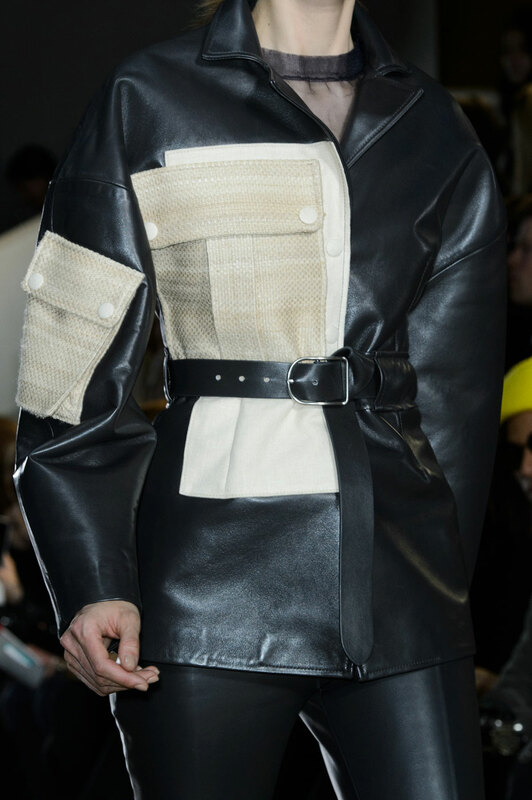 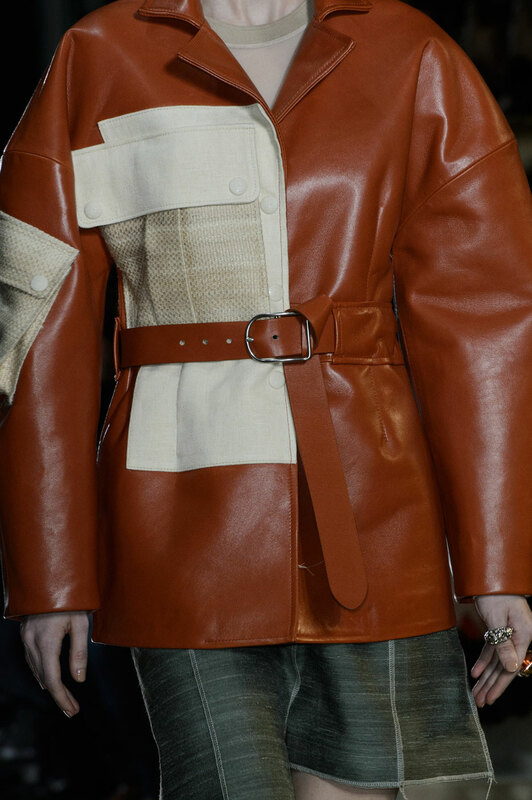 For fall, he set out to expand texture and reduce form, by custom-weaving blanket textiles and boot-lacing them together as round-shouldered jackets and coats. 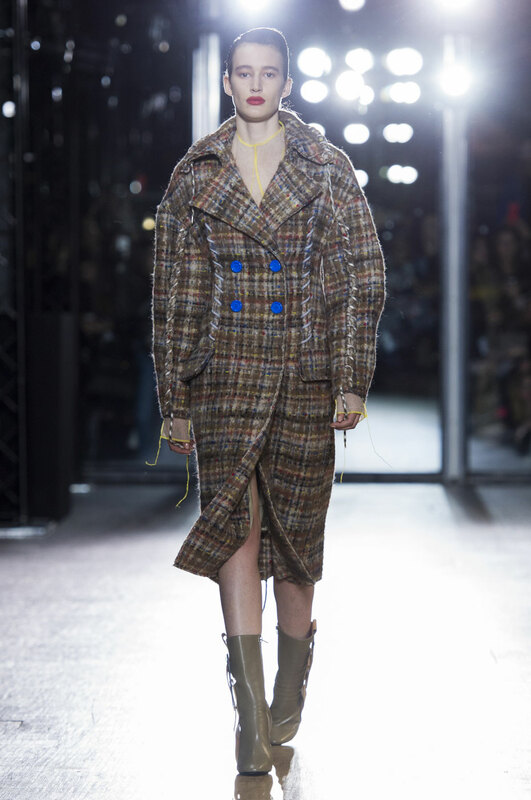 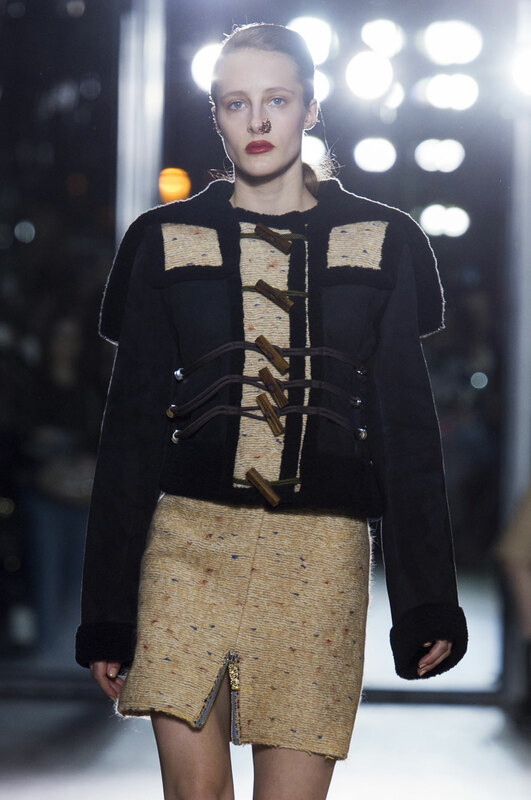 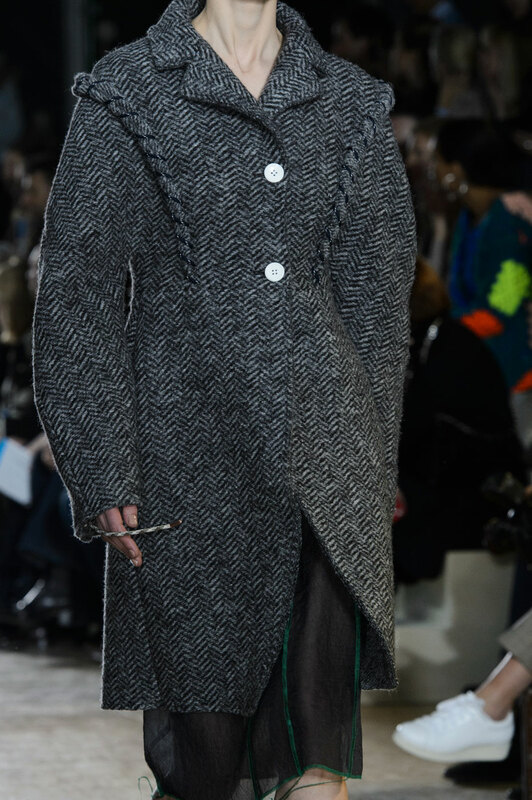 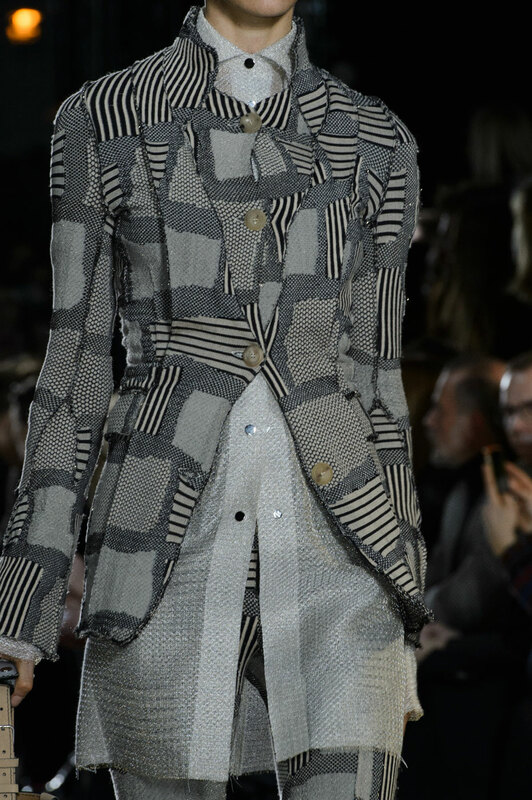 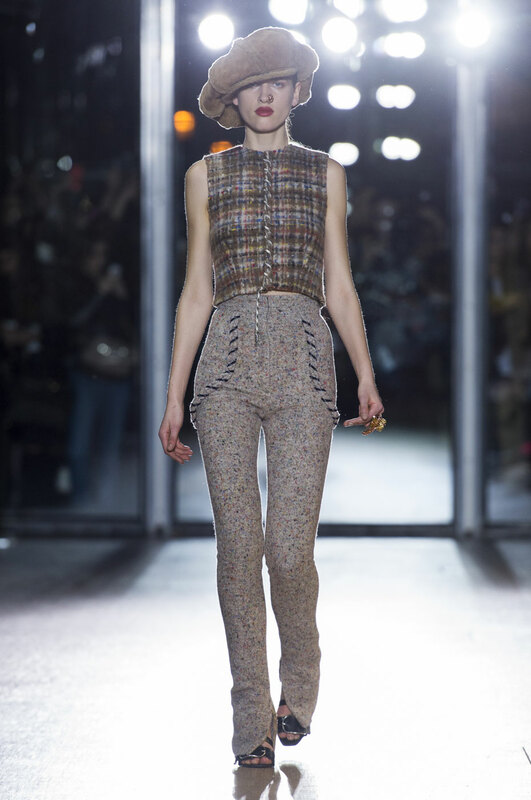 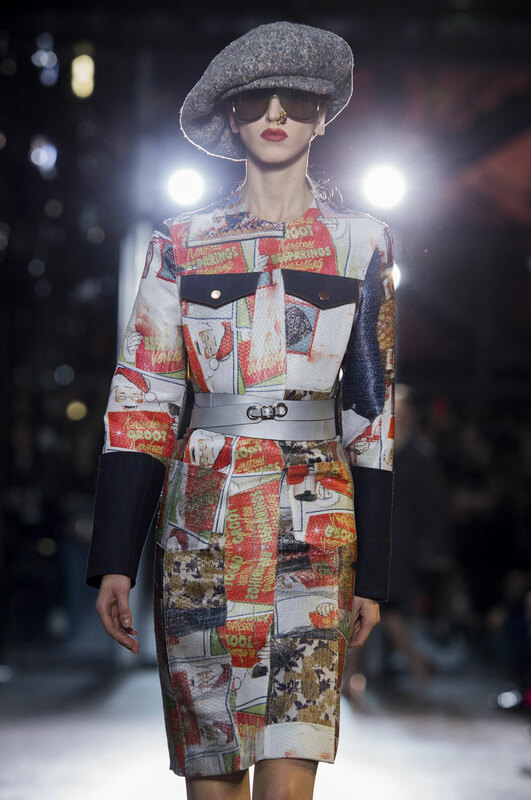 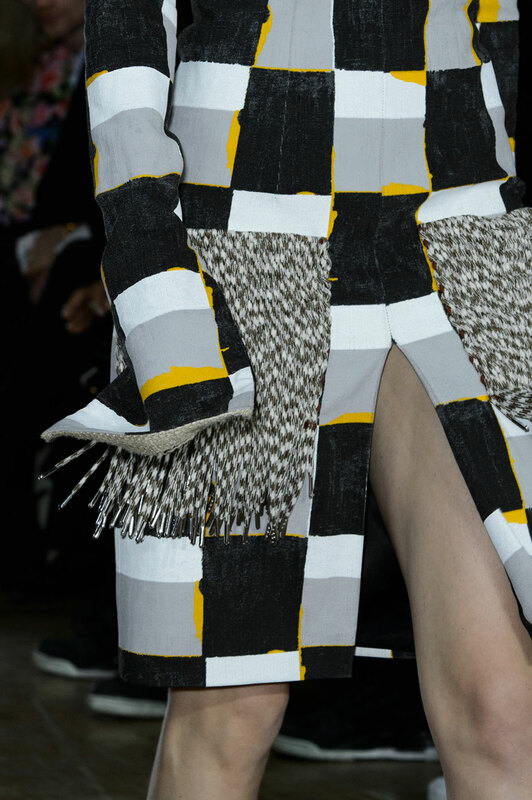 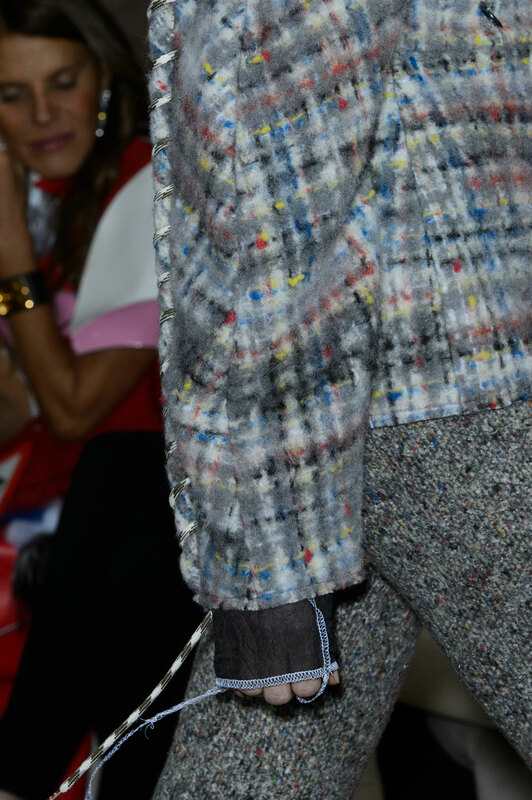 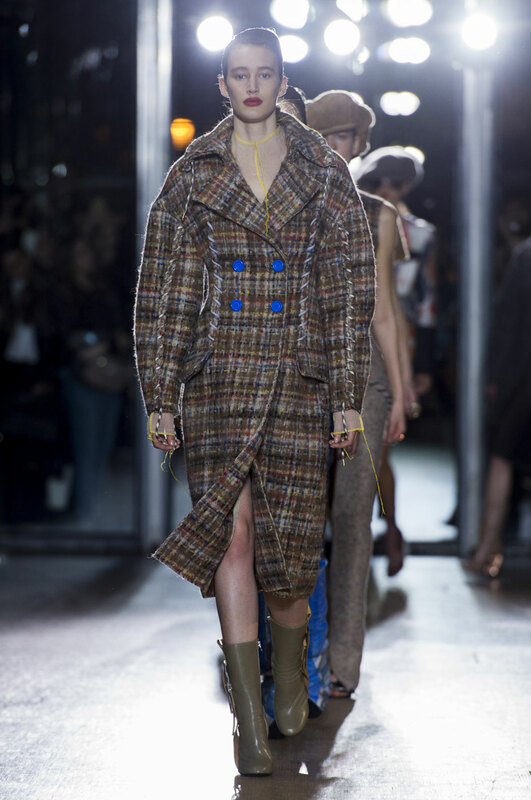 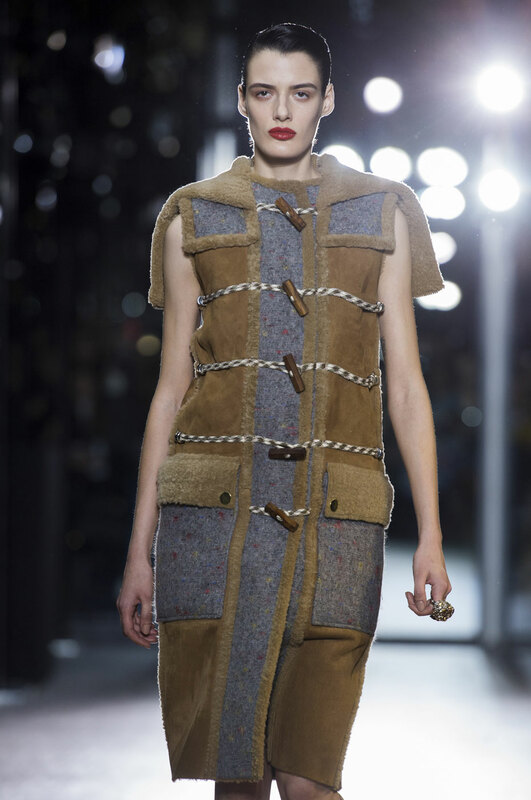 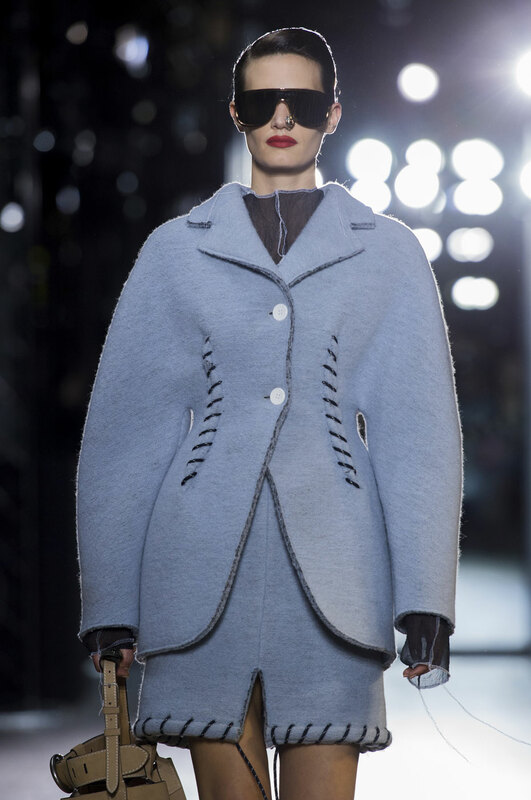 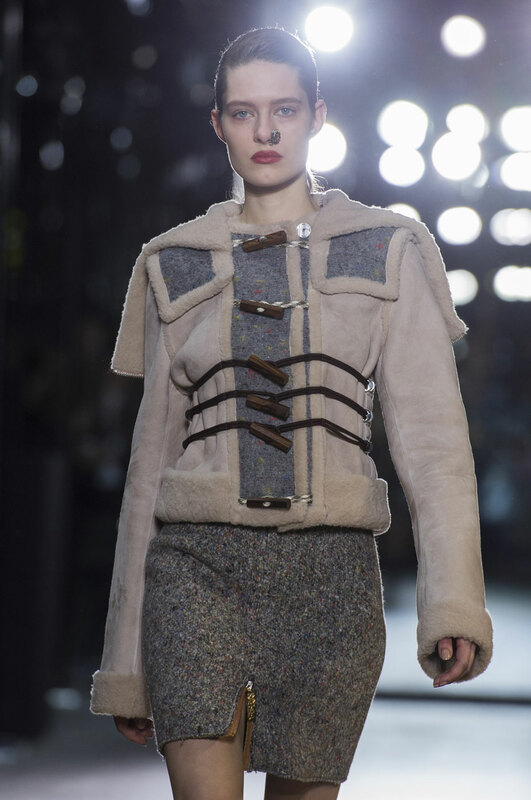 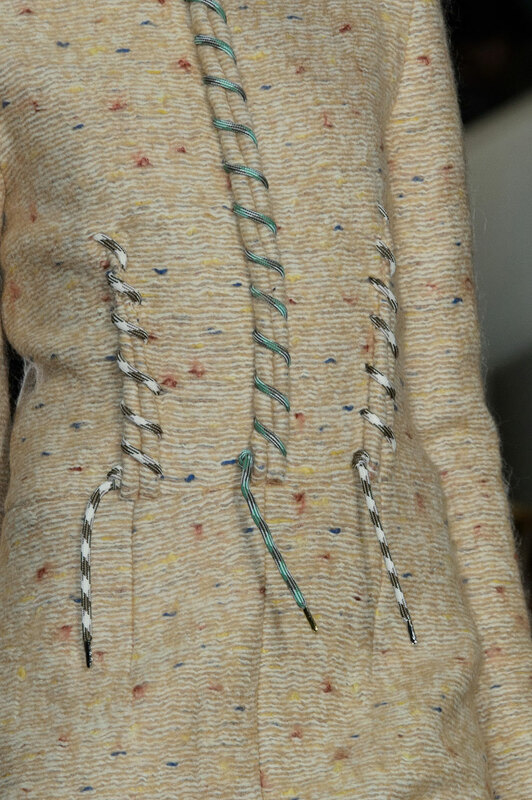 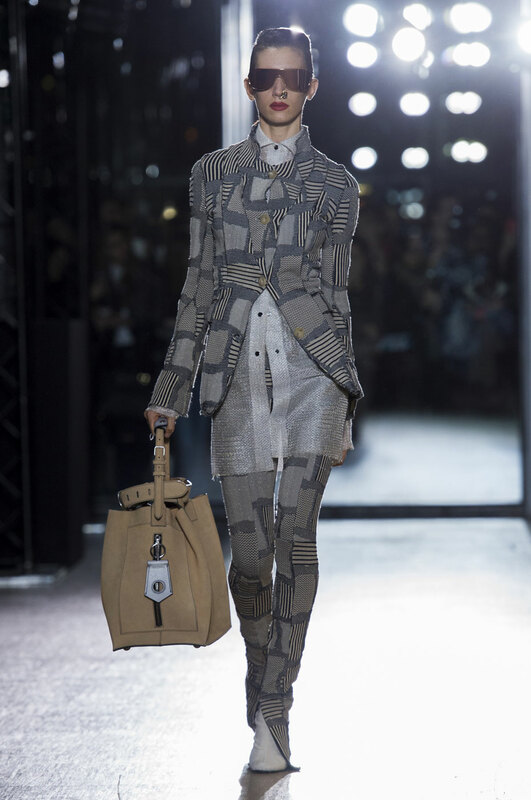 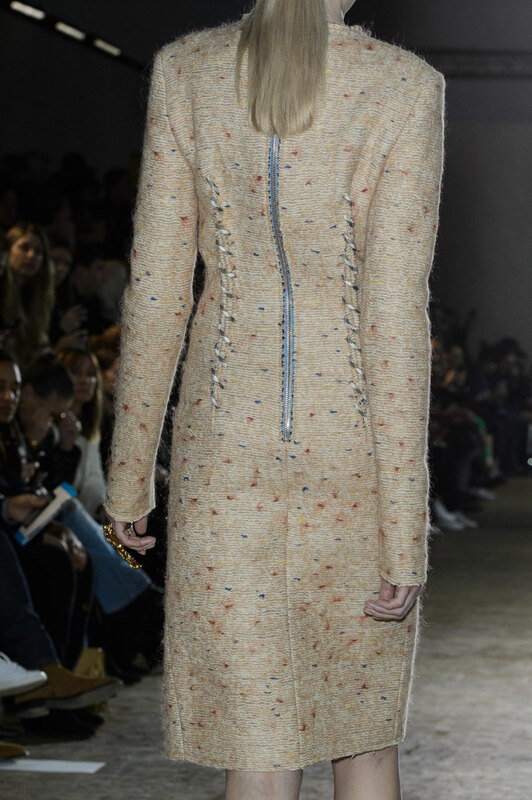 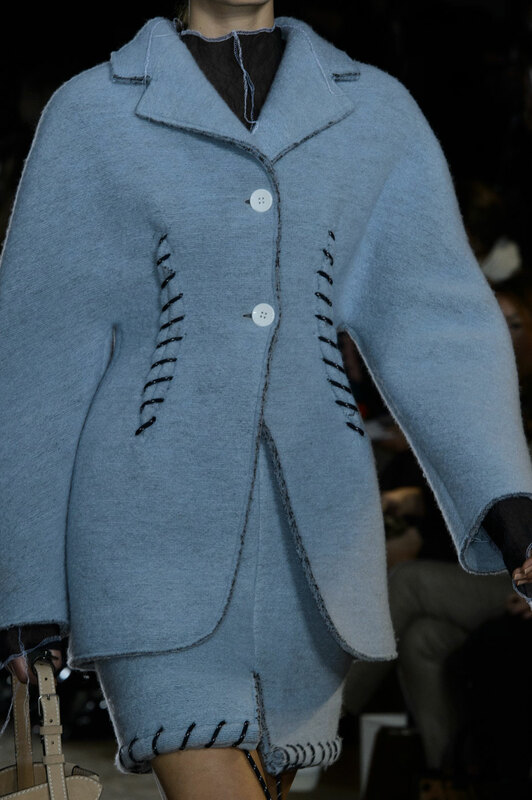 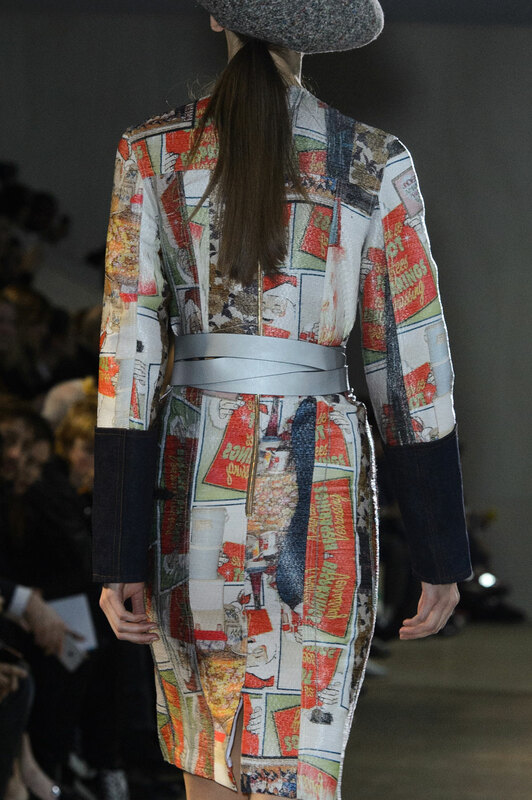 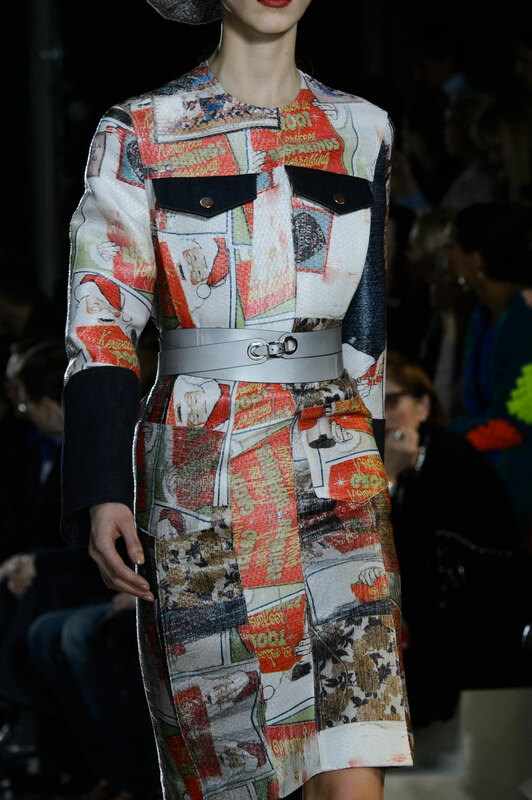 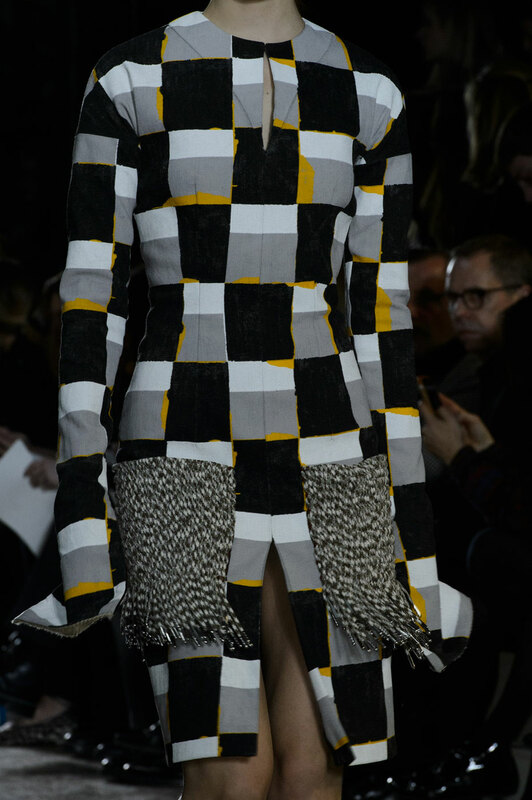 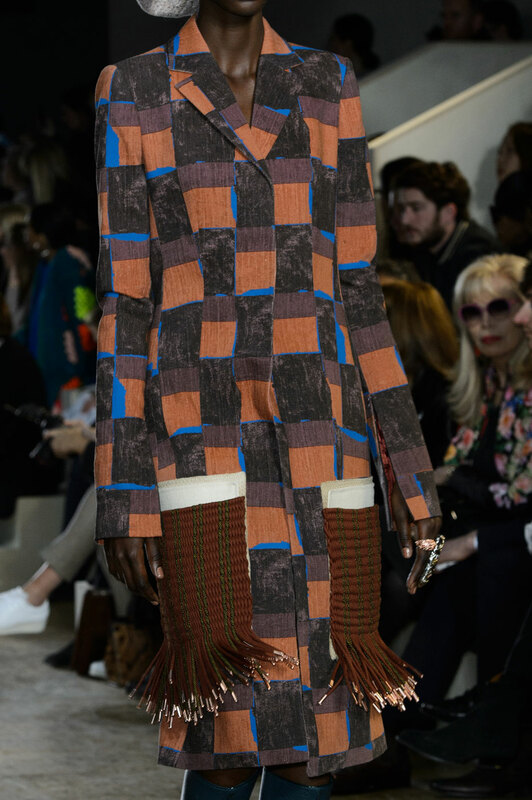 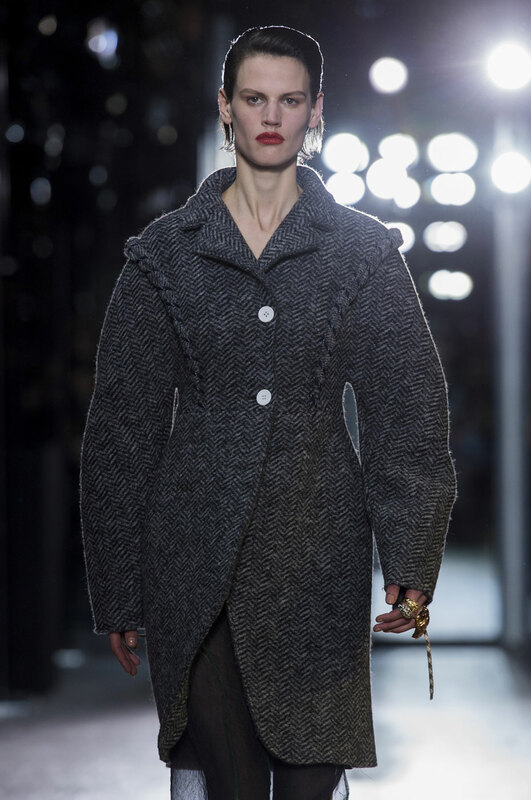 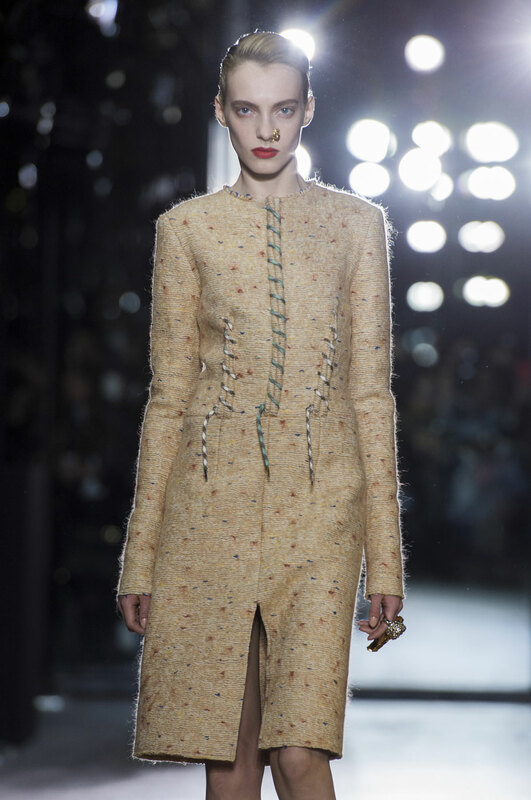 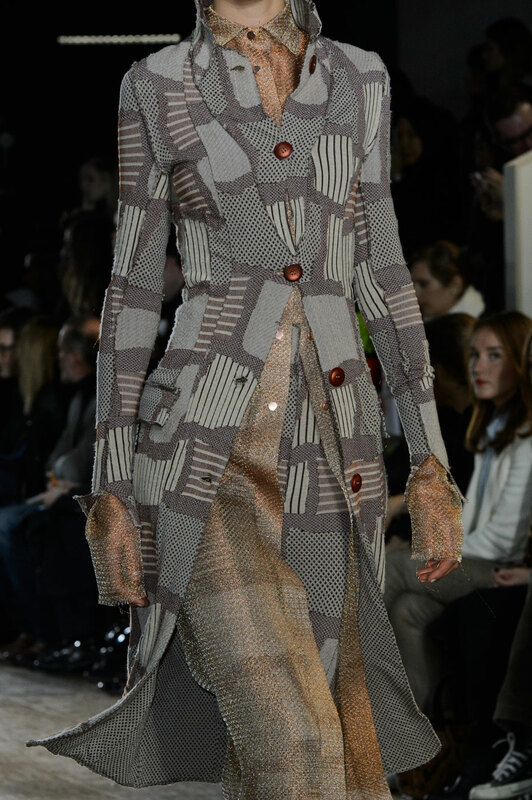 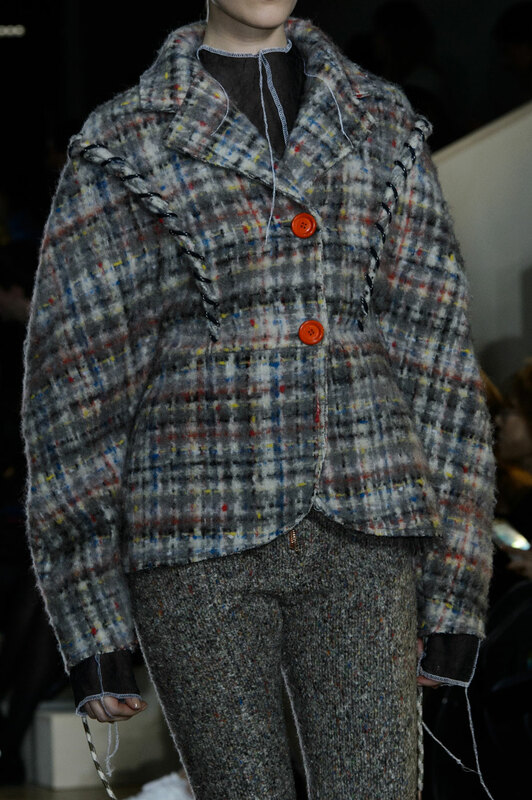 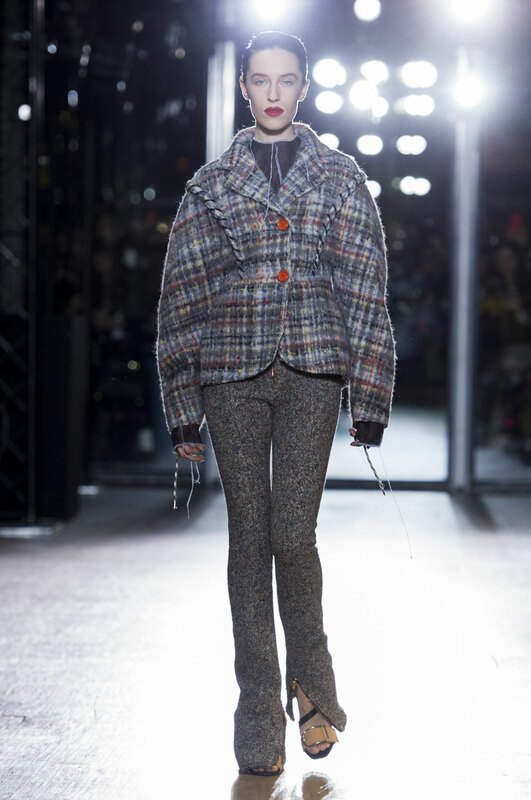 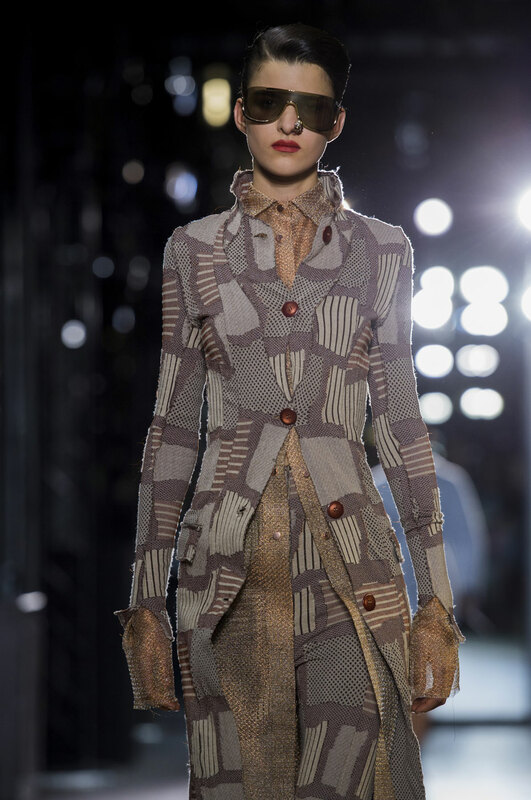 The showed opened with a checked print tweed coat with volume in the sleeves were controlled by thick rope lacing which added definition to the waist. 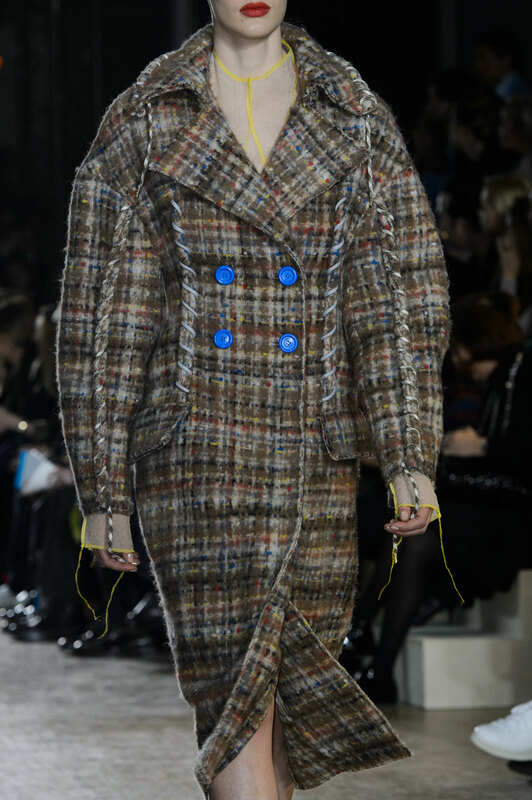 A pop of colour was added in the form of cobalt blue buttons. 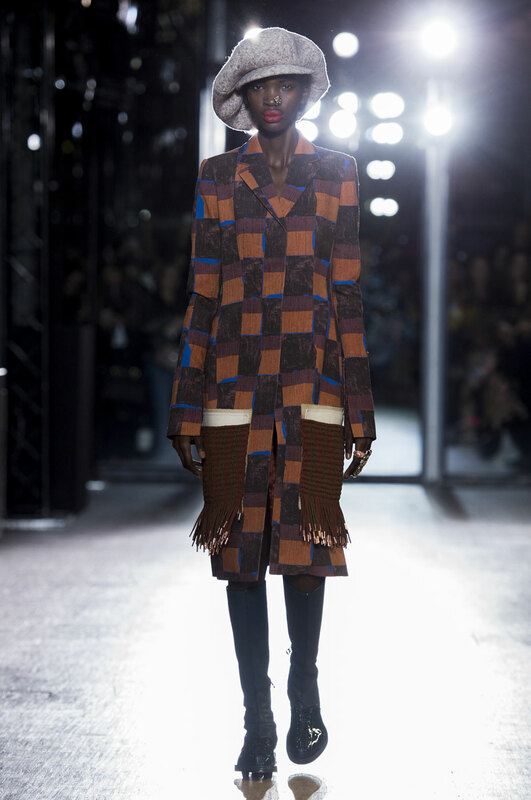 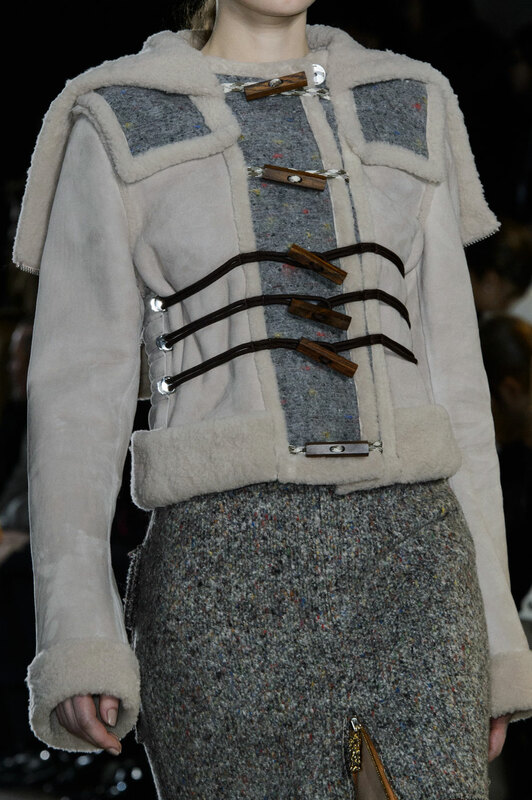 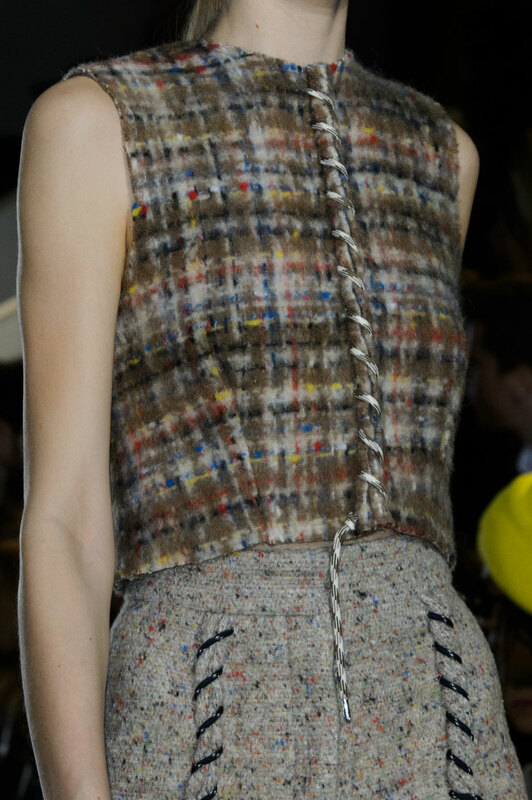 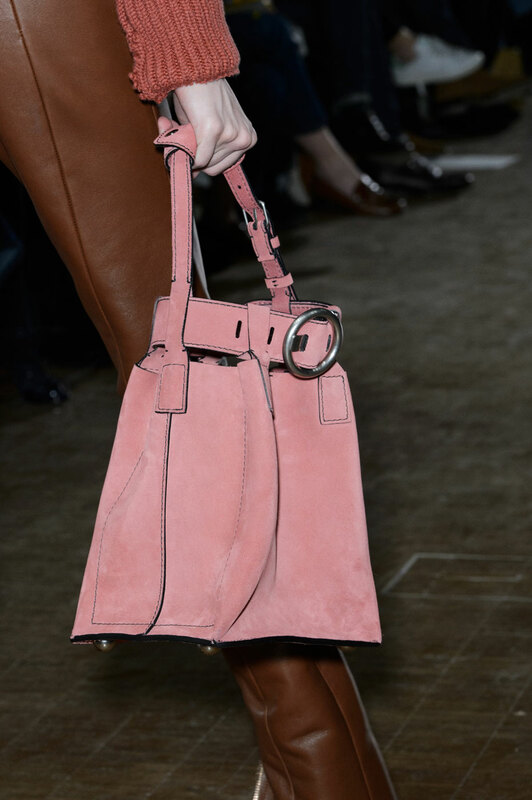 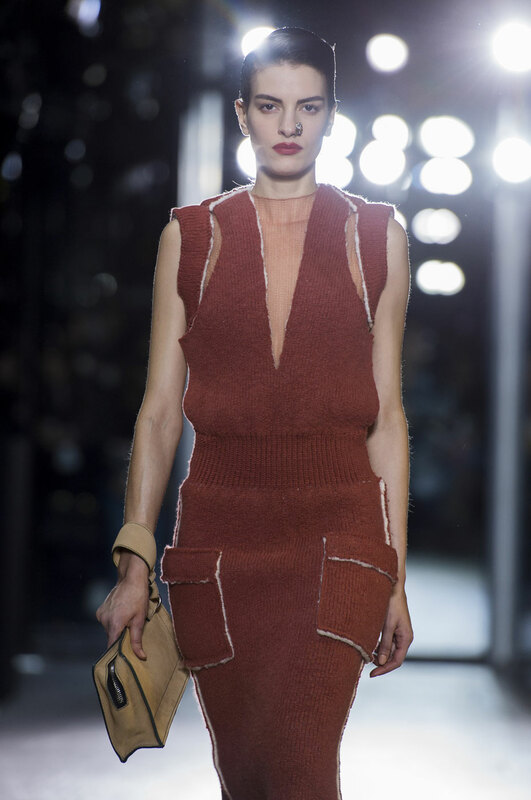 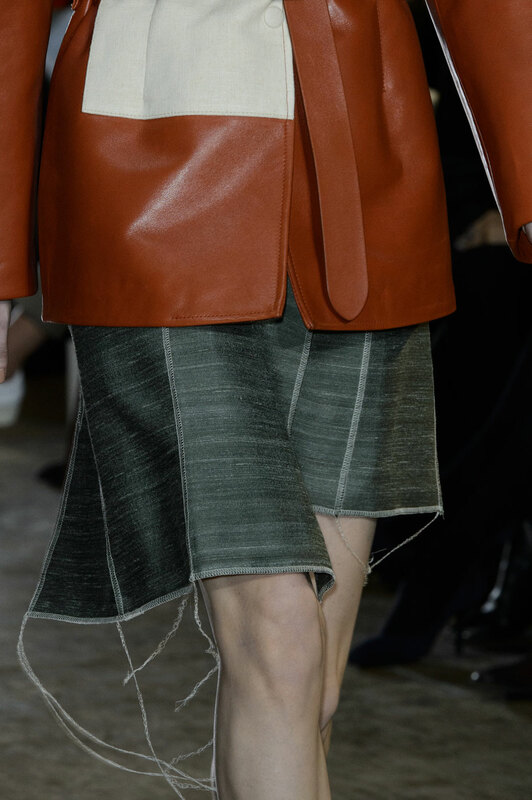 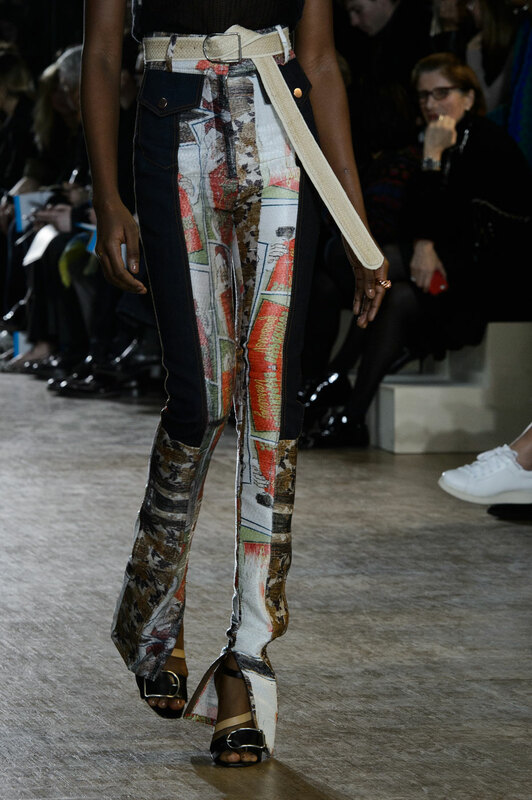 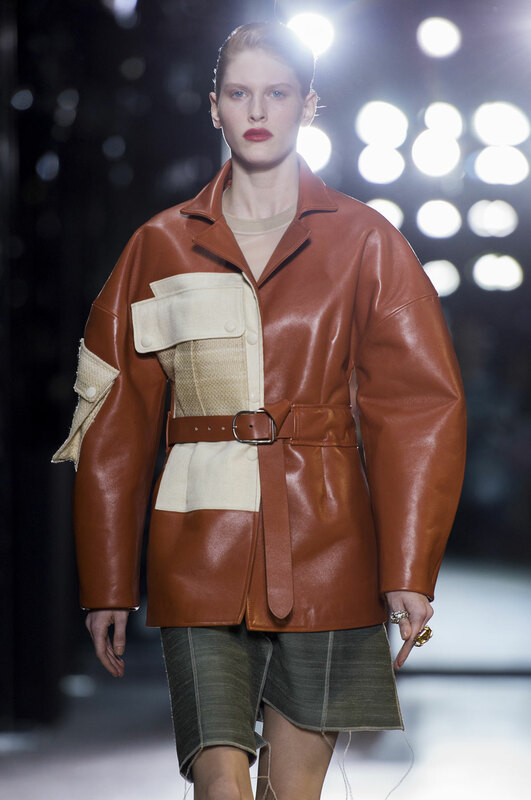 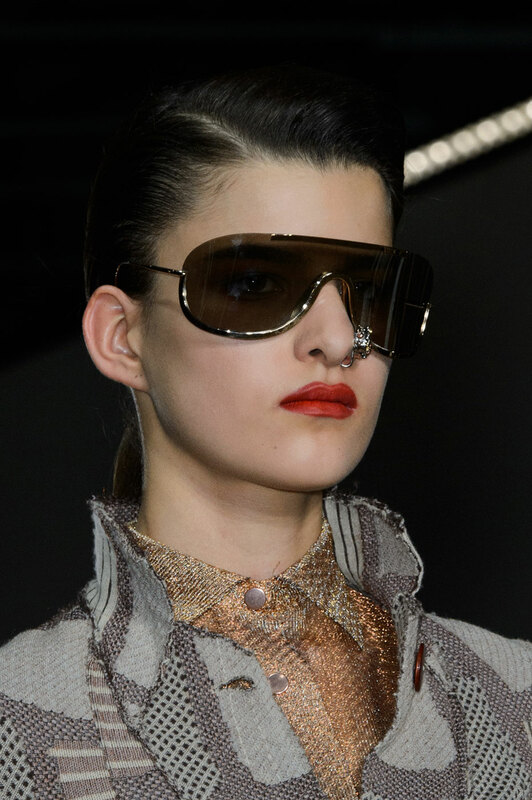 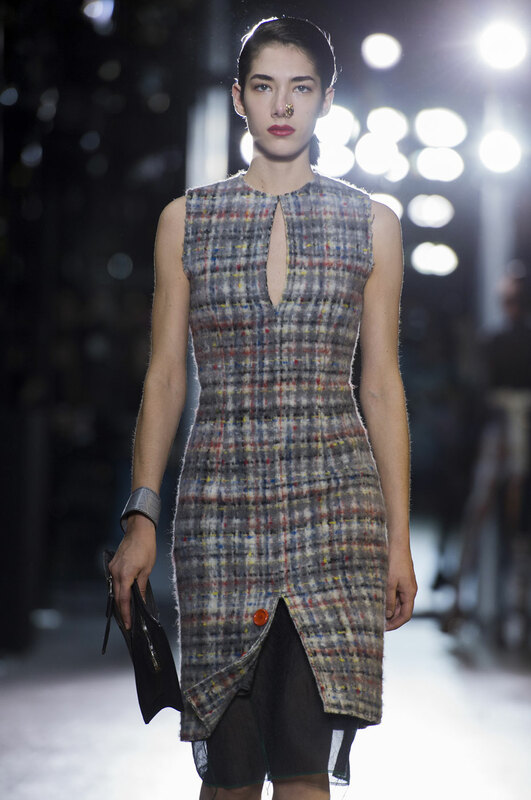 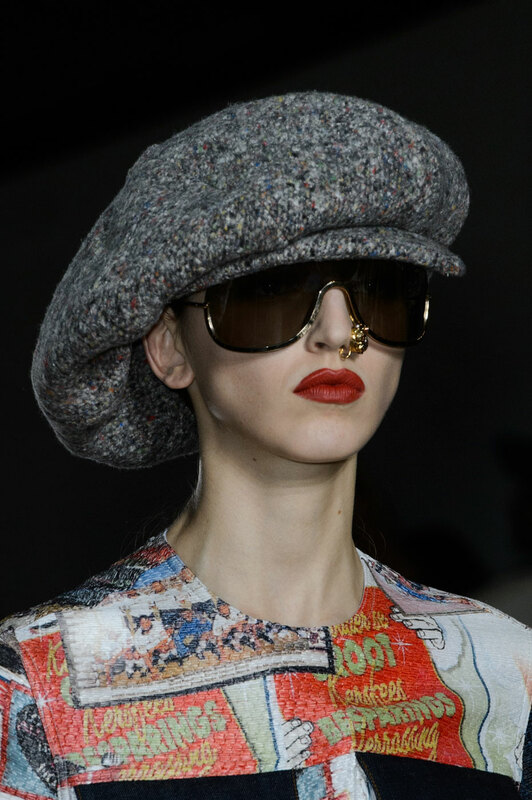 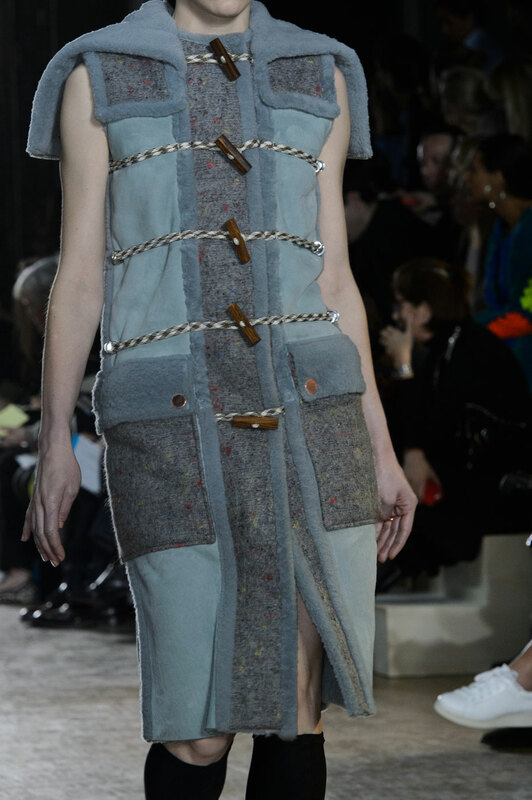 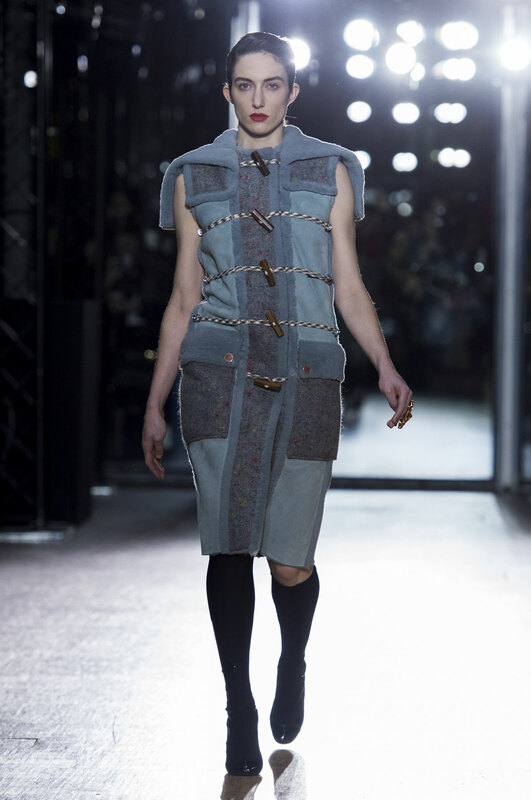 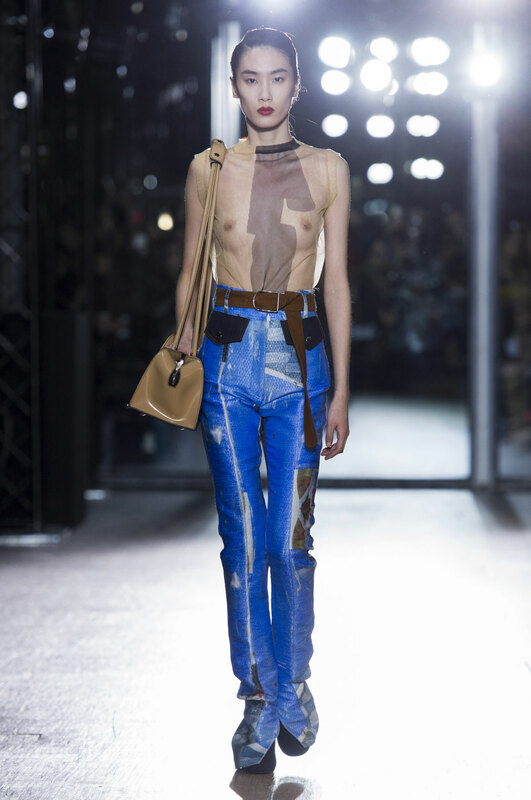 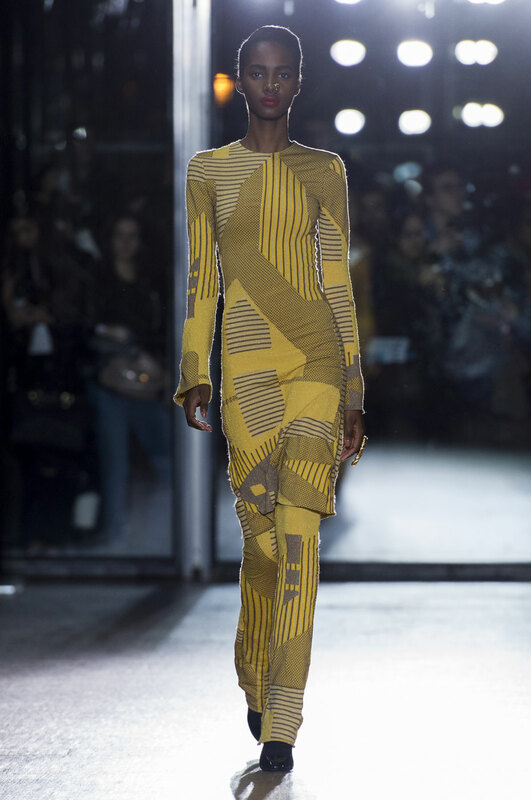 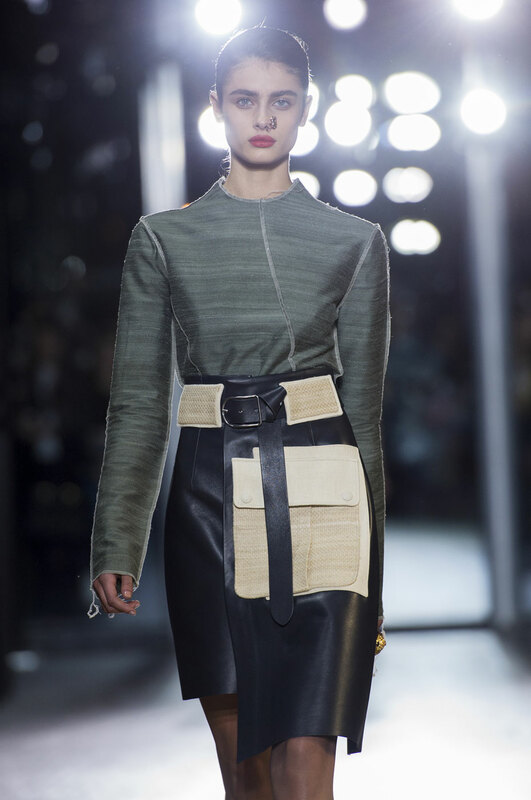 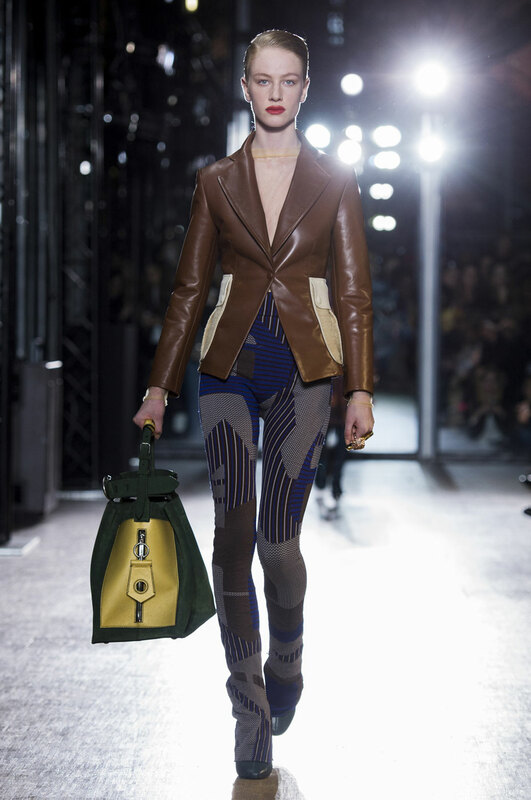 The show carried an autumnal palette with hues of brown, blue, muted pink, grey and a lashing of red. 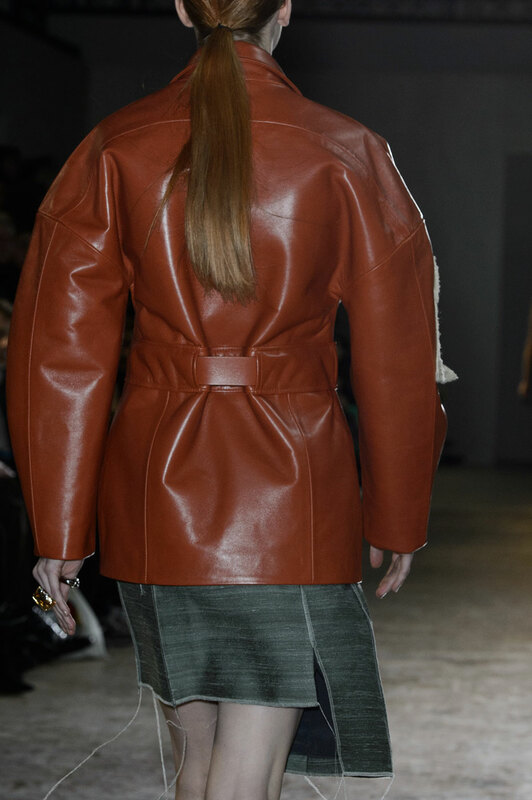 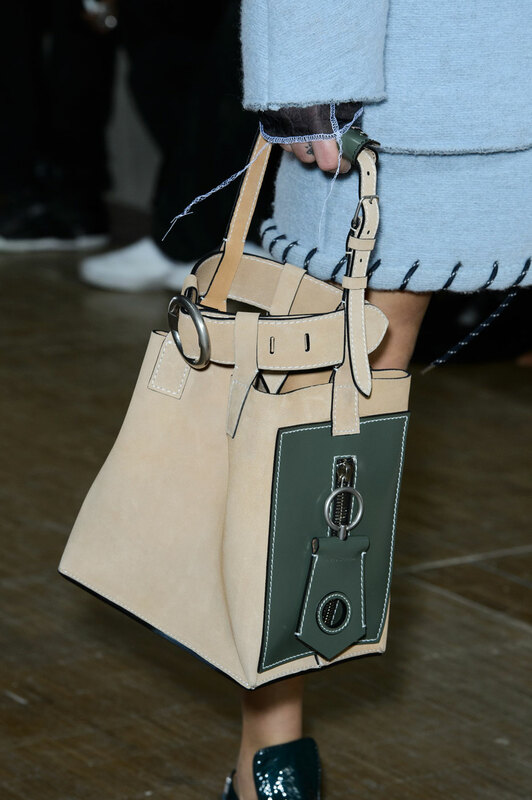 Details like Hessian pockets attached onto polished leather jackets, or shearling and duffle coats sculpted into shift dresses perfectly fitting the bill. 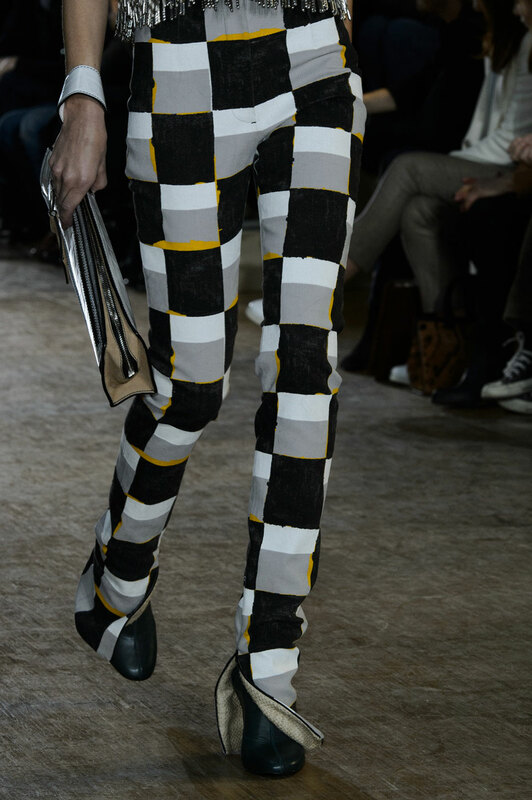 Tops and trousers are sleek, an ode to patch worked textures; split-cuff trousers screen-printed in a rough checkerboard motif. 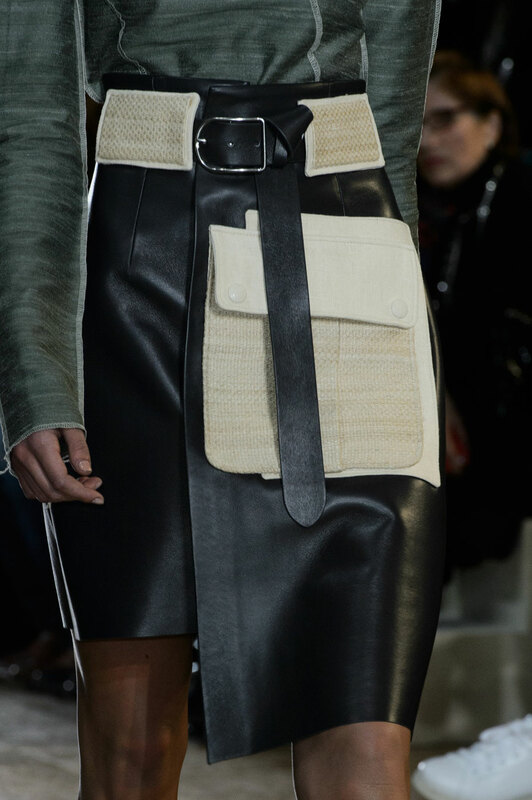 Breast baring knits and asymmetrical leather skirts where pockets are patch worked on top, adding a youthful a raw element. 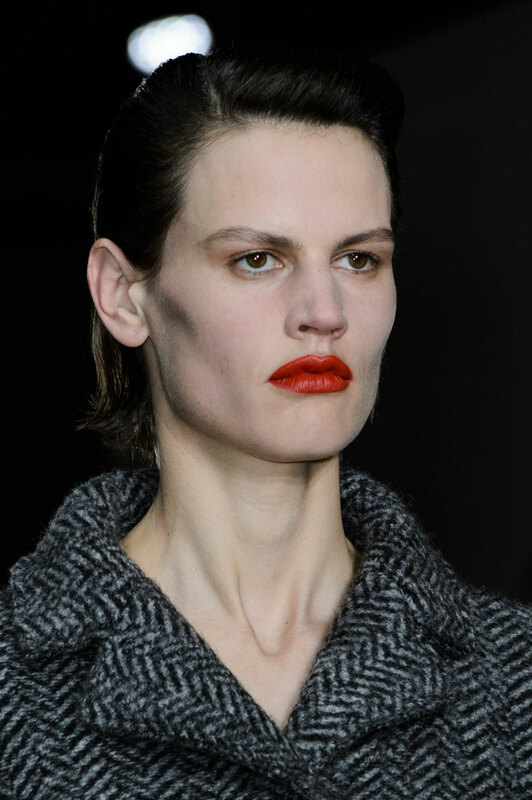 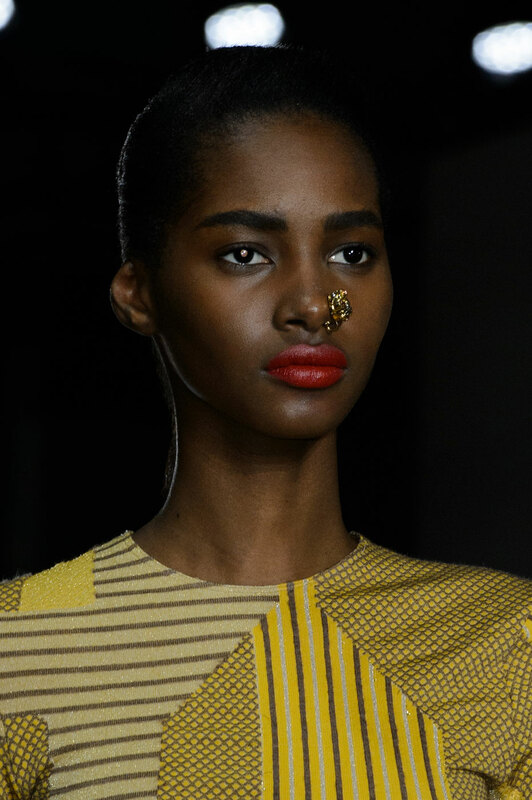 Make up was kept natural with a red lip and a deep side parting. 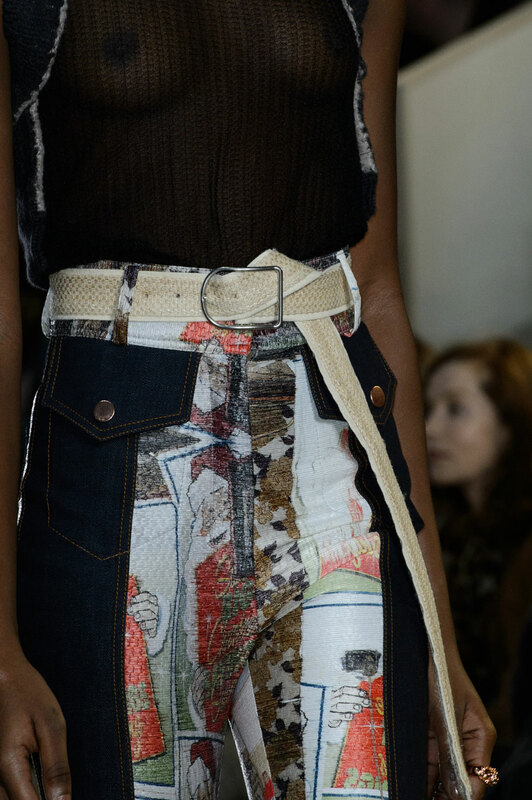 Johansson’s brand and pieces had found their groove.